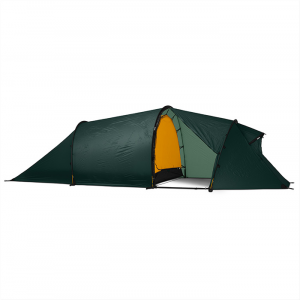 This is a excellent fall and winter tent! I bought this tent when it first came out and it has been my #1 cool and cold weather tent. You can use it in the summer but its design does not get the air flow you need without taking the rain cover off. This is the ultimate alpine shelter -- every aspect has been well thought out by people who understand the realities of life in the mountains. The main performance of the tent -- what really counts -- is excellent, but it's the details that make you sure you chose correctly. The tension shelves are the smartest bit of tent-design i've see, and the nine (yeah, nine) mesh pockets and two shelves keep everything but sleeping bags off the floor, making the most of the 'ledge hugging' floorspace -- if you need one of the optional gear-lofts you're a worse overpacker than i am -- i prefer the head space. The internal guylines can be re-rigged as handy clothes lines. In deep snow dig out beneath the spacious vestibule and you'll have a luxurious cloak-room that you can almost stand up in, holds all your gear and traps the cold air. Decide how many layers you need by peeking out the window, about which i was first skeptical but now i believe! The rear vent and hatch, mesh door and double zipped vestibule door allow for many venting options... I could go on and on, as you will if you buy one, irritating your friends with lesser tents. Bottom line: stongest tent for the weight, fits great in tight spaces, snow ledges, etc., all the features you could hope for and more, good lookin', easy to set up. i use mine alone mostly (sometimes i can drag my girlfriend out with us, but the vertical gain must be limited). 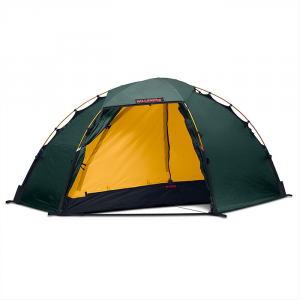 if i was sharing the tent (and the weight) i would go for the Trango 2 - same features, more floorspace, 2 doors, a little heavier. 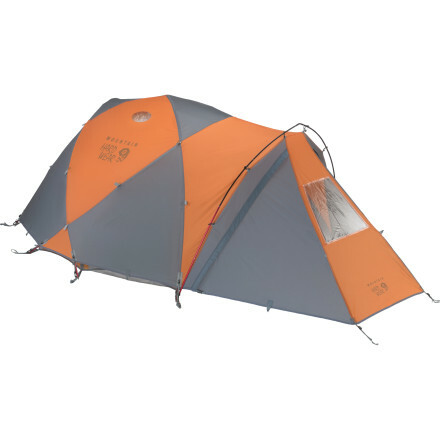 Mountain Hardwear really know their stuff (ask Ed Viesteurs) and i 100 percent recommend this tent. I use it in BC's Coast Mountains year-round...lots and lots of snow. ps: i emailed Mountain Hardwear with a question about the internal guy system - their representative answered my question promptly and sent me a spare set of guylines and sliders as well as a few stickers later that week. nice work. Allrighty folks, this is a 4 season tent! It's a bit heavy but it can withstand the Canadian winters, blowing snow, blowing snow, thrashing of snow and piles of snow. It's got all the goodies that Mtn. Hardwear offers in their tents: internal guy lines, pockets, scotchlite and a bunch of other things that may sound boring but quite useful. 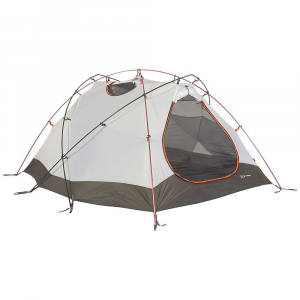 Like what i said, it's a 4 season tent and it can do the duty or duties for winter camping. i recommend it greatly. Superb design. I've owned this tent for almost a year and have nothing negative to say. Stands up to winds better than anything out there and has many storage compartments and shelves. An expedition tent in its purest form, the Assault ventilates well and is completely waterproof. I lived in this tent for a couple of days in the Palisades during a severe storm last May and everything stayed locked down tight. Kudos to Mountain Hardwear for their functional design and impecable craftsmanship. I bought this tent six months ago, so I cannot attest to its durability, but, I believe this to be an excellent 4-season tent. It is bombproof! I was camped on top of Sam's Knob (Pisgah National Forest) in a brutal storm; the tent did not budge. Other tents in the group were about to blow off the mountain, but not mine! Enough light and comfortable for two and ice gear. Enough light and comfortable for two and ice gear. We use it at expedition without a problem. Really windproof and ZERO condensation. The Trango Assault has been discontinued. The Mountain Hardwear Trango Assault is not available from the stores we monitor.